Here are two infographics I created through Easel.ly. The first provides a visual explanation of why music is such an important part of a child’s education, while the second demonstrates exemplary technique for tonguing while playing the clarinet. 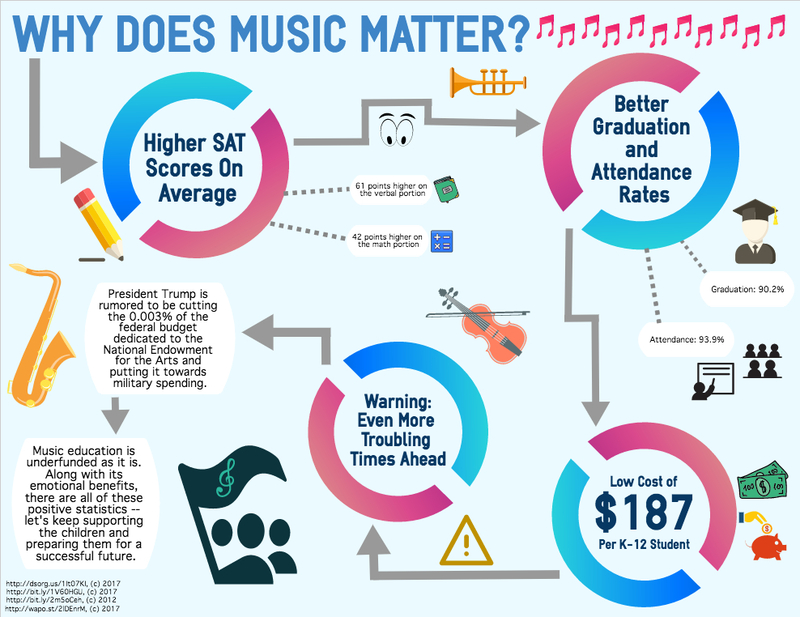 So many ignore the statistical evidence of the importance of music education, and in this first infographic I aim to present the facts in regards to the success associated with music in a clean and colorful way. 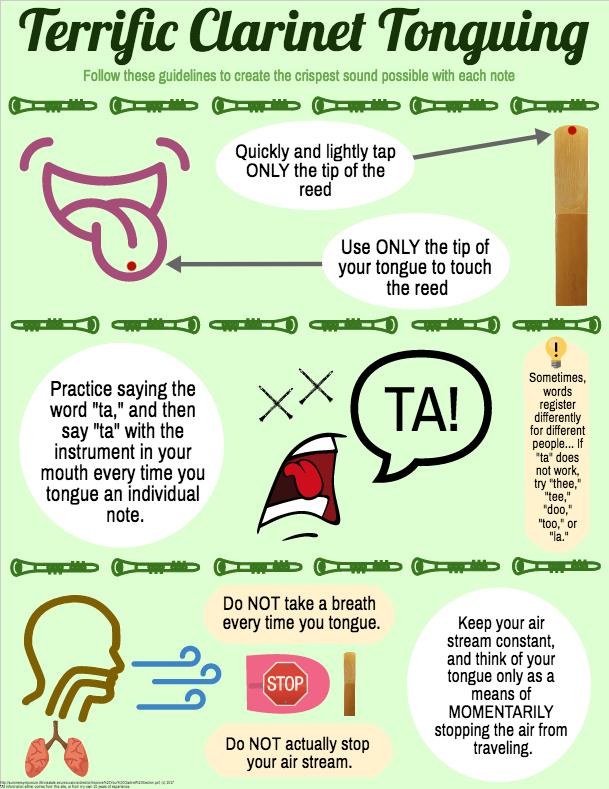 With respect to the second infographic, I hope to illustrate how to effectively hit the reed of your clarinet with your tongue. Personally, this was something I really struggled with growing up playing the clarinet. I had trouble visualizing exactly what I was supposed to be doing; this should make it easier for young individuals to learn.